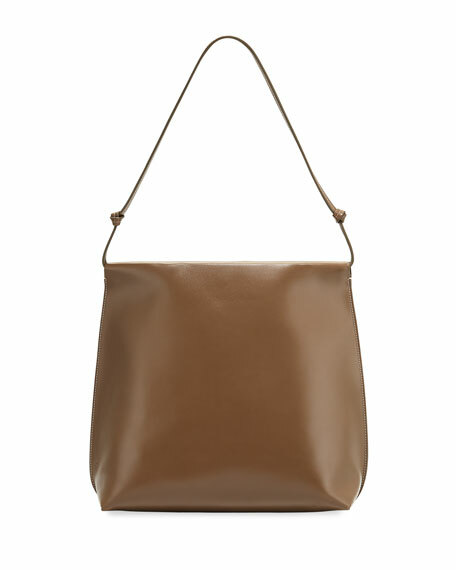 THE ROW "Wander" shoulder bag in vegetable-tanned leather. Top handle with knotted ends. Exterior, tonal stitching along sides. 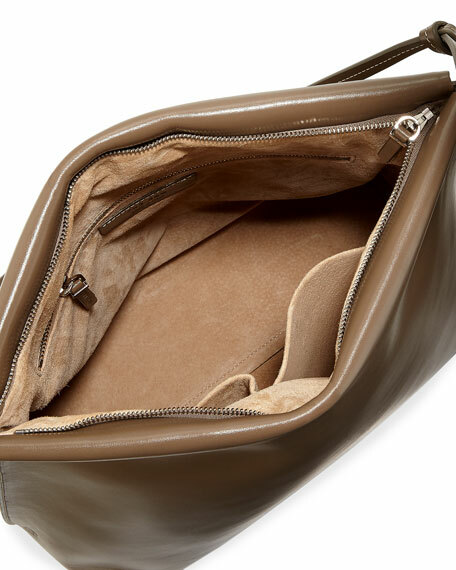 Interior, suede lining; zip pocket. 11"H x 11.5"W x 5.5"D.
For in-store inquiries, use sku #2354694.